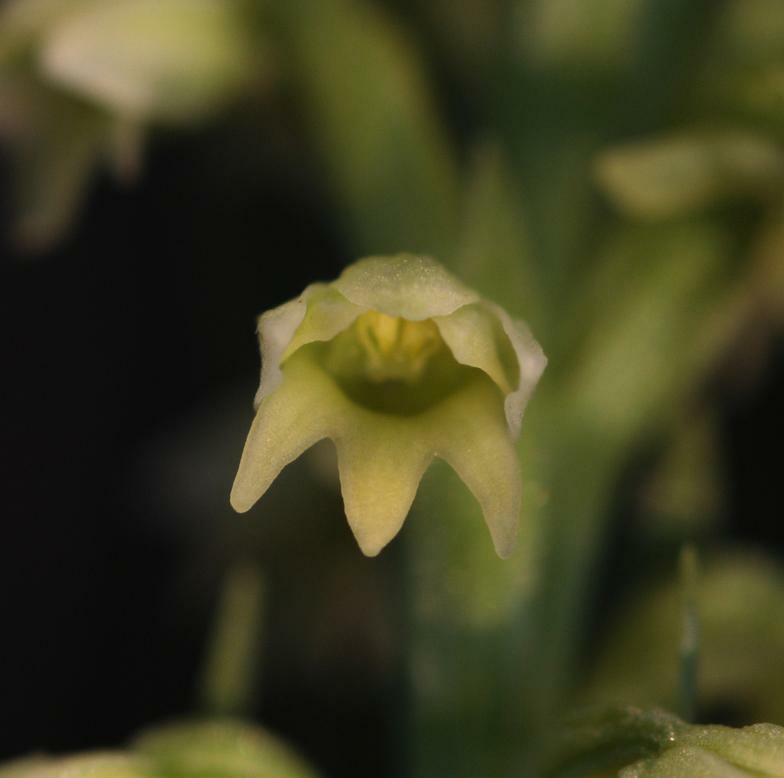 Pseudorchis albida, the Newfoundland Orchid, grows in eastern Canada and is one of the few orchid taxa that extends into polar latitudes. 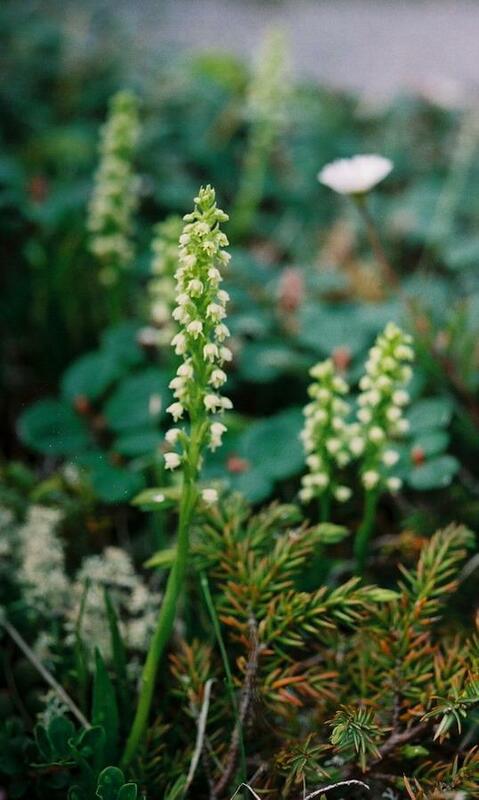 This orchid is also widely distributed across boreal Europe, Scandinavia, Greenland, and northern Russia and sometimes is referred to as simply the Small White Orchid. 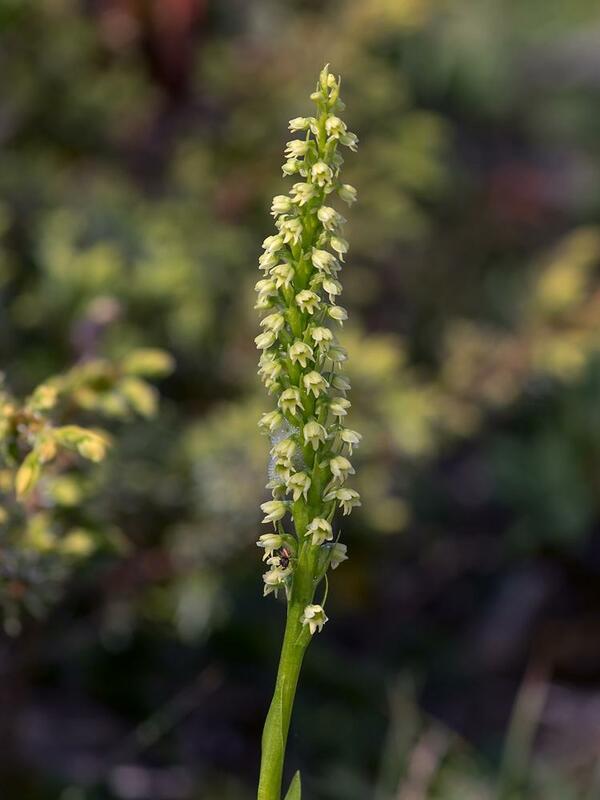 The North American form of this orchid, designated as subspecies straminea, is a robust plant up to 35 cm tall with alternate leaves and a spike of yellow tubular flowers that have a short, blunt spur and a distinctive 3-lobed lip. 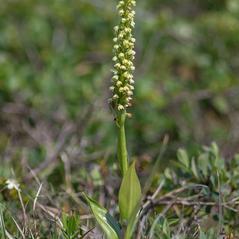 This orchid grows in wet tundra and wind-swept limestone barrens. 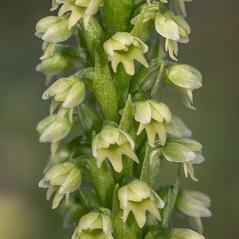 Pseudorchis albida is considered globally secure although it has suffered a decline in Britain and other European countries. 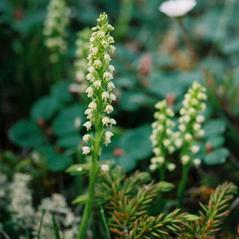 In eastern Canada, this orchid is considered vulnerable due to its limited distribution and low numbers of occurrence. 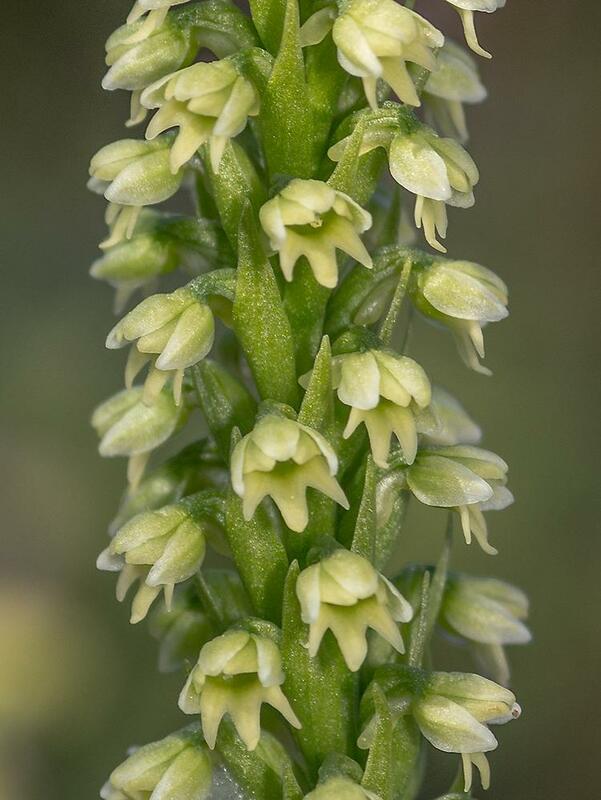 Pollinator information for this orchid has not been reported in North America but in European populations this orchid is pollinated by moths and butterflies. 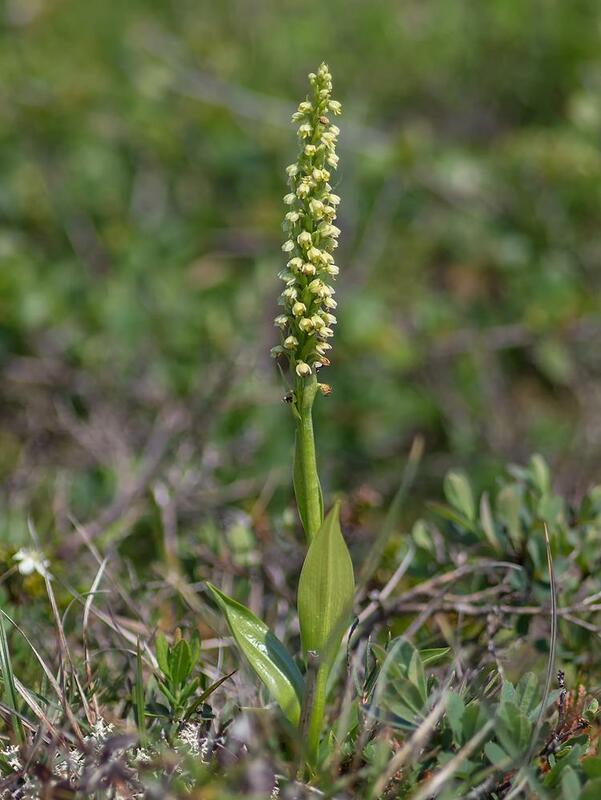 In the far northern part of its range where there is a scarcity of potential pollinators, this orchid is typically autogamous with partially closed flowers that produce abundant fruit and large quantities of seed. P. albida subsp. albida is the typical form that is widespread in Europe, prefers acid soils and has greenish-white flowers with the mid lobe of the labellum distinctly longer than the lateral lobes. P. albida subsp. straminea is centered in the west Artic-north Atlantic, including eastern Canada, and is generally associated with limestone barrens. 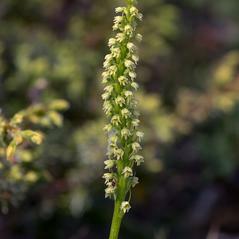 The yellow flowers have a mid lobe only slightly longer than the lateral lobes and a distinctive vanilla fragrance. P. albida subsp. tricuspis prefers calcium-rich soils and has an Alpine-boreal distribution including the Swiss, Italian and Austrian Alps. The creamy-white flowers have labellum lobes of equal length.